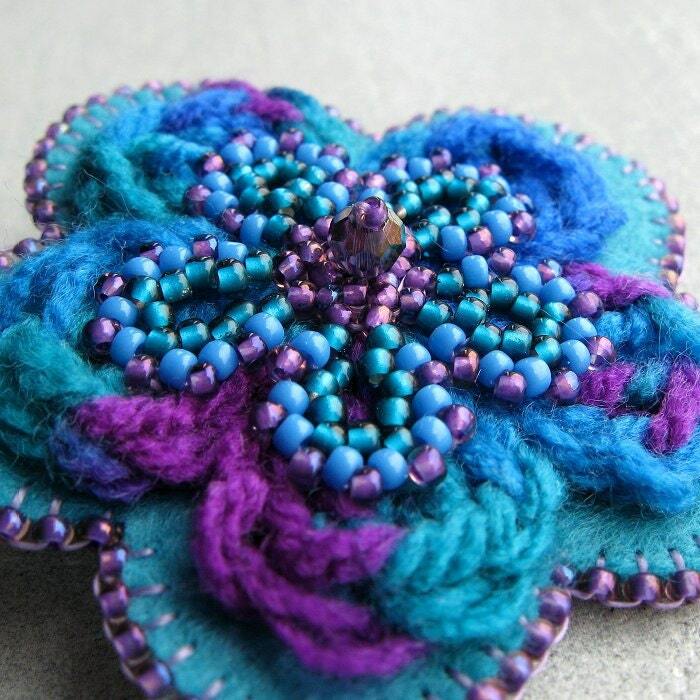 A multimedia brooch that I made by combining crocheting with beadweaving and bead embroidery. Felt, yarn and beads. Folksy :: Buy "Chunky Hat in Greens, Blues and Purples." Folksy :: Buy "Blue Felt and Crochet flower brooch"
Folksy :: Buy "Autumn Plum Pink & Green Flower Crochet Brooch"
Folksy :: Buy "Felt Flower Brooch"
Folksy :: Buy "Pay It Forward - Purple Felt Flower Brooch With Tulle"